On the Road to Abigail's: Be Careful What You Wish For! As you get to know Abi and I (if you don't already know us) you'll soon learn that we go large or we don't go at all. We are, as some might say.... driven. Yep, that's a good word. We know what we want and we rarely settle for less. 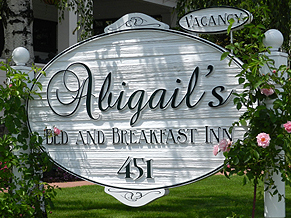 We have a vision for our Inn and we are determined to be up and running, as Abigail's, for the 2012 season. Because of said vision there is no time for we'll get to that later kind of thinking. It's now or never in our book. The old saying "Be careful what you wish for" came to mind today. So long sea-foam green carpet and yellow upholstered walls! Speaking of yellow upholstered walls... they are no more! Adios baby blue carpet! And way too bright blue walls, your days are numbered! 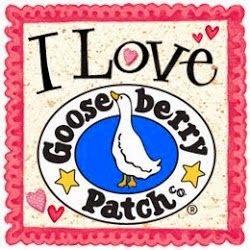 And dusty rose pink carpet, it's time for you to go too! Never again will I have to descend teal-covered stairs! I suspect that once upon a time this was some pretty stylin vinyl flooring laid over the hardwood. It was our original plan to refinish the hardwood in each of the guest rooms but because of sound-proofing and cold tootsies in the morning, we decided to lay new carpet. Amazing floor, somewhat sad to cover it up again. They don't build houses like they use to. This wallpaper is up next on the "hit" list! No disrespect, but I don't know what prompted anyone to hang this wallpaper in a turn-of-the-century home. This is the landing at the top of the stairs. The landing, along with the stairs, will be refinished to its original glory! Oh, and yes, all of the flooring is original to the house. Fabulous! This is what hardwood stairs look like after decades of wearing teal carpet! Come January, this stairwell will once again be spectacular and true to the era of the home, but, in the meantime... "Be careful what you wish for!"